Martschenko, Ivan [Іван Марченко] – teacher and lecturer, active in political and community affairs; born on 1 November 1892 in Paryčy (Svietlahorsk raion, Homel oblast, Belarus; at that time – Babruysk county, Minsk gubernia, Russian Empire); died on 3 June 1968 in Derby, England, United Kingdom; buried in Nottingham Road Cemetery, Derby. Martschenko attended a Realschule secondary school in Poltava (Ukraine). From 1909 to 1913 he studied at the Mathematics and Physics Faculty at the University of Saint Petersburg, gaining a degree with distinction. He continued his studies at the university, in the Faculty of History and Philology, until the outbreak of the First World War in 1914. At the university he was active in the Poltava Society and, for a time, was its head. In September 1914 he enlisted in the Imperial Russian Army, and during the war was twice wounded in action. By the end of 1917 he had risen to the rank of staff captain and was commanding a batallion. After leaving the army, in January 1918 he returned to Poltava where, from the autumn of that year, he taught mathematics in a number of Ukrainian gymnasium secondary schools. He was a leading activist in the Poltava branch of the All-Ukrainian Teachers’ Association (which in 1920 was forced to merge with the official trades union for education professionals), and was an advisor on methodology to the county Education Department. In October 1920, when mass arrests of Ukrainian intellectuals were taking place in Poltava, he was arrested on a charge of issuing a false trades union document to a teacher, and was imprisoned in Kharkiv. He was released in February 1920, on condition of becoming an informer for the “Cheka” Soviet secret police. To avoid this, within a fortnight he travelled clandestinely to Moscow and, from there, to the Kuban region of the RSFSR. From May 1922 to the autumn of 1923 he taught mathematics at the Ukrainian Teacher Training College in the Poltavska stanytsia (former Cossack garrison) near Slavyansk-na-Kubani. He was head of teaching and learning at the College, and worked closely with its director, the political activist Mykola Mikhnovskyi, in strengthening the Ukrainian identity of the students. Finding himself under threat from the authorities, in October 1923 he returned to Ukraine. For a time, Martschenko worked as a village school teacher and headmaster in the Kyiv region. In August 1925 he moved to Dnipropetrovsk (now the city of Dnipro), where he initially taught mathematics in a number of technical schools, then, in 1930, became an assistant lecturer in mathematics at the Dnipropetrovsk Institute of Metallurgy. In 1934 he completed a dissertation on An infinite system of linear equations with an infinite number of unknowns, and in the same year was promoted to reader (docent). During the 1941-43 German occupation of Ukraine he lectured in mathematics at the Dnipropetrovsk Ukrainian State University (in 1942 he was awarded a doctorate in mathematics and became professor of the department of algebra) and at the Dnipropetrovsk Institute of Transport Engineering. 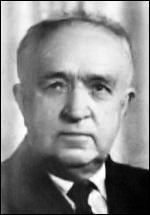 He compiled a textbook on mathematics for technical colleges (Matematyka v tekhnikumi, published in 1930, 532 pgs), and co-authored a mathematics workbook (Zadachnyk z matematyky dlia tekhnikumiv, published in 1930, 320 pgs). At the time of the Soviet advance into Ukraine in the autumn of 1943 and the resulting German evacuation, Martschenko left the country and, in 1944, arrived in Berlin where he worked in a factory office. In June 1944, having made contact with supporters of the hetmanite movement, he joined the Union of Hetmanites-Statists (SHD). From September 1945 he lived in a displaced persons camp at Heidenau, near Hamburg. At the camp-based gymnasium secondary school he taught mathematics and, for a time, was its head. He organised a local branch of the SHD at the camp, and became the SHD head in the British Zone of Occupation of Germany. As well as contributing to a number of hetmanite periodicals, in 1946 he was the the first editor of the camp-based Luna weekly, and in 1948 began to edit and publish the hetmanite Ranok periodical. In 1945-46 he wrote a memoir covering his life until 1941, which was published in 2012 in Ukraine. He became a member of the Shevchenko Scientific Society (NTSh) in 1949. At the end of 1951 Martschenko moved to the UK, and subsequently settled in Derby. He became a close associate of Danylo Skoropadskyj, the London-based head of the worldwide hetmanite movement, and continued to publish the Ranok periodical until its closure at the end of 1954. From 1957 to the mid-1960s he was head of the SHD in Great Britain, and in 1958 was elected to the advisory council and executive of the worldwide SHD. From 1953 until his death he was a member of the Governing Council of the Association of Ukrainians in Great Britain (AUGB) and, from 1957 until May 1968, a member of the AUGB Executive Committee. In 1955 he was a founding member of the Association of Ukrainian Teachers in Great Britain (AUT). He was an AUT Executive member from 1955, and head of the AUT from 1959 until his death. He was engaged as permanent inspector of the AUGB supplementary schools in 1956, and from that time until his death he regularly visited schools all over the country to provide advice on pedagogical and administrative matters. In November 1967 in New York he represented the AUT at the inaugural session of the World Congress of Free Ukrainians (WCFU; now the Ukrainian World Congress), and in May 1968 he was elected one of the deputy heads of the WCFU’s newly-formed Educational Coordinating Council.